Prepare for the Ultimate dinosaur-themed adventure - now you can take your Tribe anywhere, at home or on the go! 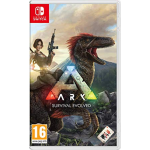 stranded on a mysterious prehistoric island, you must explore its vast biomes as you begin to Hunt, harvest, craft tools, grow crops and build shelters to survive. Use cunning and skill to kill, tame, breed, and even ride dinosaurs and other primitive Beasts living on "the Ark." advance your technology from primitive Stone tools to t-rex-mounted laser cannons, as you group up with thousands of players online or enjoy a solo Jurassic experience. Enjoy the new single player settings mode in Ark, which speeds up earning XP, crafting, taming dinos and more. 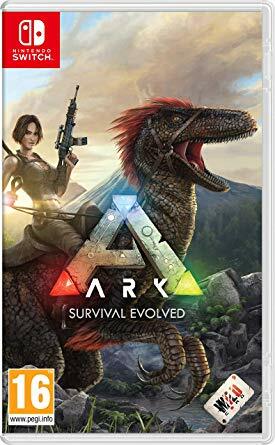 The overall difficulty of the game is also altered for solo players, and with these new settings, setting out for a single-player adventure in the world of Ark is a smoother and more enjoyable experience for players who Prefer to go it alone!.